Do not miss another SmartWool voucher! Simply leave your e-mail address and we'll always keep you informed of new vouchers for SmartWool. Take 15% discount on your order with code NEWYEAR15 at Smartwool.com! Offer valid 1.3 through 1.20! Take 10% discount on Your Entire Order with Code HOLIDAY10 At Smartwool.Com! Offer Valid Through 12/31! Take 20% discount on Site-Wide Using Code CHEERS20 at Smartwool.com! Offer Valid 12.1 Through 12.14! Take 10% discount on your order with code CYBERWEEK10 at Smartwool.com! Offer valid 11/22 - 12/10! Buy 3 Socks, Get 1 Free Using Code GT34Z8V at Smartwool.com. Must Have 4 Socks in Cart. Offer Valid 8/1 - 8/25! Mother's Day Special! Spend $75 and Get $20 Off Your Order Using Code GKS34WE at Smartwool.com! Offer Valid 5/3 - 5/14! Get $15 Off With Any Apparel Puchase Using Code HAPPY2018 At Smartwool.Com. 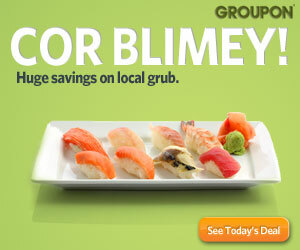 Offer Valid 2/1 - 2/28! Free Express Shipping with Any Base Layer Purchase Using Code WARMUP at Smartwool.com! Offer Valid 10/12 - 10/21! 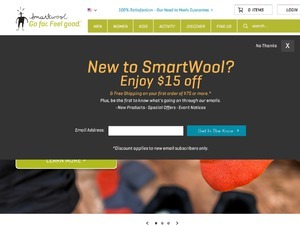 Get Free Ground Shipping on Our Purchase Using Code FREESHIP at Smartwool.com! Offer Valid Through 11/9! Latest voucher code valid at a time of promo publication was entered to be working from 2019-04-01.